Calculators and standards in the past have been very far off as they were derived from very wrong and limited subject pools. Performance standards are by nature a crude estimate of what we think someone should be capable of in a certain task under certain conditions. What is presented here are adult standards (>18 years old) based on competitive weightlifting and powerlifting (unaided) classification systems in use from the 1950's to the present. They are not predicted or regression derived. Simply use the appropriate bodyweight category. There is no distinction of body composition for the Weightlifting Performance Standards. These strength standards are not designed to evaluate ‘healthy’ strength values or strength imbalances, as they pertain to risk of injury. Tests such as the Push-up, Sit-up or Half Sit-up Tests or Functional Movement Evaluations (upper right list) may be more appropriate to measure 'healthy' strength, relative to body weight. Also consider other resources such as Assessment and Treatment of Muscle Imbalance and Movement, Functional Movement Systems. First off, thanks for creating a great resource. We have been using your site in my KINS 2100 class at the University of North Georgia and have learned a lot from it. I wanted to bring to your attention, the push-up calculator may have an error in the equation. It calculates erroneous results when you enter data. For example: a 76 year-old man who does 18 pushups, scores a 4 and gets rated “poor” when the population average is 11. Just wanted to bring this to your attention. I’m glad to hear you are using ExRx.net in your course. I do appreciate you contacting us regarding this issue. Please notice in the instructions, the calculator is only valid for ages 15 to 69 years of age. The formulas were derived from tables derived from the references below and converted to formulas using curve fitting techniques. However, we had no data beyond age 69 to plot at the time, so expect wild numbers beyond those parameters. We may look into improving our calculators in the future, particularly if we can find senior data to filling the gaps. However, it would likely be in the form of some sort of software, either for purchase or subscription. Thank you for clarifying, I hadn’t look further after what my professor had us do in class – I’ll pass that information along to him as well! Thank you for responding so promptly and with such a detailed answer, it is much appreciated, and I will definitely be an advocate for your website in the future. For the Push-ups test, Should there be a period of time for the completion of this test? Although I believe there are push-up tests which implement a time limit, this test requires none. Your subject simply performs as many repetitions as possible without pausing. YMCA Bench Press: 80 lbs x 28 reps is the population average??? Really? You better be kidding. Half the people at any gym can't do that. Much less any people that don't even work out. Next, you go on to say, "Subject lies supine on bench. Knees bent flat on floor". So you're encouraging bad form for this evaluation? Proper bench form is with an arched back and shoulder blades pinched together. Alright, so much for the bench press. Next, Push-up: Same sh*t again. 26 average pushups for females. Right? What the f**k is wrong with you guys? I doubt even 1 in a 100 people can do more than 20 push ups (in America). You should really reexamine those tests. Seriously, though, your critique is completely misguided. 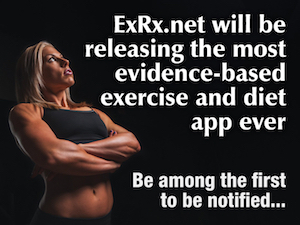 With some exception, most of the fitness tests and calculators on ExRx.net are standardized tests which have been published in academic and clinical journals and texts. These tests are well researched and devised, using large sample sizes to determine these norms. These tests are also used by exercise professionals who have been trained to understand the strengths and limitations of fitness tests in general. In other words, they weren't created by ExRx.net. We've provided sources and references to the various tests on the pages of each test or calculator. I would invite you to express your grievances about the norms and procedures to the respective organizations and researchers who have devised these tests. You are also welcome to post your concerns on our forum. We actually have a section for discussing fitness tests. However, to save yourself further embarrassment, you may want to reexamine the particular issues you have raised. I'm sure if you took the time to actually read the instructions and look more closely at the protocols, you will find you have seriously misunderstood certain key points. For example, I'm not sure why you suggest the push-up norms are invalid when you surmise that half the people in the gym could not score average. Actually, that is almost exactly the proportion of people you would expect not to achieve the median at that particular age group, being true average is exactly the 50th percentile. I have personally administered the tests you have questioned throughout the earlier portion of my career. With these tests, I found a relatively even balance of scores ranging from poor and excellent. You should understand, however, that the YMCA bench press test is NOT a powerlifting test as you seem to wish it were (judging by your described form). Instead, it measures submaximal muscular strength and endurance with a standardized resistance and form. Likewise the form on the pushups are also modified for similar testing purposes, particularly for females (as you apparently overlooked). You can't expect the test to be accurate if you perform just any old sort of push-up you would like. Keep in mind that every test has certain strengths and weaknesses, within given circumstances, whether it be for fitness, anthropometrics, aptitude, intelligence, or what have you. For example, BMI is useful for making inferences of large populations, but is notoriously not very helpful when applied to a single individual. The limitations of other tests are typically more subtle. The YMCA cycle ergometer test under-predicts VO2 max for those who are not accustomed to cycling, but has other advantages. Even hydrostatic weight, which has been considered the gold standard for body composition assessment, has demonstrated limitations for certain populations such as weight-trained athletes. More specifically, NFL football players have been measured at negative percent body fat, using underwater weighing technique. As a fitness professional, it's important to understand each test's benefits and limitations. In addition, realize that there is more than one way to perform a movement, depending upon one's goals (or purpose of the testing protocol). With the bench press form you have described, I am guessing your fitness goals are more in line with powerlifting. Unless you are trying to find an appropriate test and norms for muscular strength/endurance, consider using the Weightlifting Performance Standards. It is interesting for every person who we hear suggesting the standards are too low, we also hear just as many people arguing they are too high. At ExRx.net, unless you have impeccable credentials, we favor data, not opinions. Lastly, if you are more interested in understanding this area of fitness testing and normative data, and less interested in cursing everything you do not care to take the time to understand, consider scheduling a consultation with one of our Elite Experts, Jordan Joy or Dr. Dan Baker, who are the most knowledgeable of the ExRx.net consultants in the areas of fitness testing as well as the statistics used for normative data computations. I understand it may be very easy for someone who has not studied exercise sciences, particularly measurement and evaluation, experimental methods, and statistics, to be a bit confused when it comes to fitness testing and evaluation. Instead of sending me an email full of expletives and sophomoric comments, I encourage you to first understand and appreciate the possible applications, as well as the limitations, of each test and, instead, question your own egocentric, “I know everything”, “You guys are idiots”, and “There is only one way” mentality. In addition, you will likely have more luck with others being willing to guide you through your questionable interpretations and misunderstandings if you open yourself up to learn by being less quick to judge, and remain professional by exercising certain social graces.